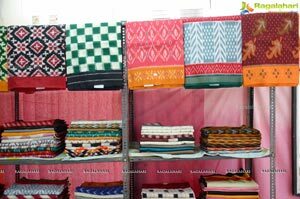 Pochampally Hand-loom Park organized, 10-days Hand woven Eco friendly Hand-loom Products -Pochampally IKAT Art Mela 2015 at State Gallery of fine arts, Road no 1, Kavuri hills, Madhapur, Hyderabad. 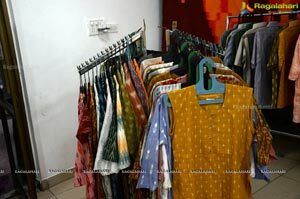 Renowned Textile designers and weavers of Pochampally, presenting their designer Hand-loom Products. The Mela will be on till 21st April 2015. Tollywood Actress Manali Rathore (Green Signal fame) inaugurated the Mela by lighting the traditional lamp. 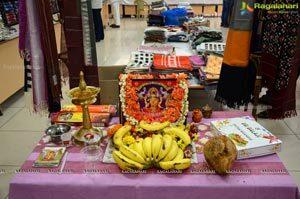 “It’s glad to see various apparel, particularly designer Fabrics,silk and cotton sarees, to be showcased for the Fashion Connoisseurs. 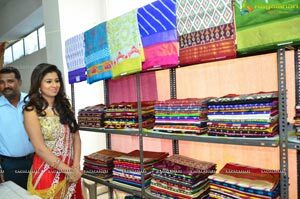 Platforms such as this are required to reach out women looking for well-designed handmade cotton, silk wear & exclusive home textile” Actress Manali said on the occasion. 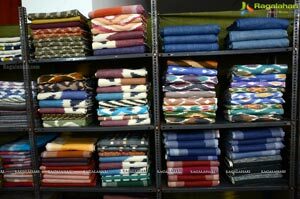 “Hand-looms are part of an age old Indian tradition element of Indian culture and rich artistry. 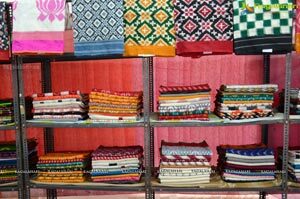 By promoting hand-looms, we support the artisans and local community who have been passing on their skills for generations. 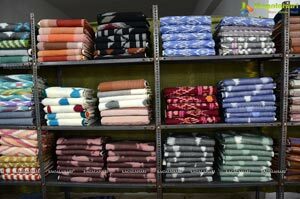 Promoting creativity and originality, each design is a result of individual artisan’s creativity which is influenced by the local traditions and cultures”said Lava Kumar-Director and Ex Chairmen – Krishna, Pochampally Hand-loom Park.